Repalcement pad delivers 10,000 impressions before pad should need to be replaced. 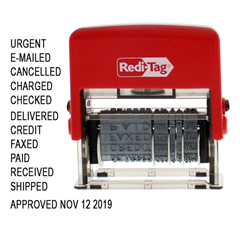 Use with Redi-Tag 12-Phrase Self-Inking Dater - #97015. Ideal for large or small business.